How many communications efforts focused on advancing change fail because we only talk to people who agree with us? Savvy advocates know that to succeed they need to connect to people who may not be on their side—at least not yet. That’s what I call reaching beyond the choir. And based on many years of experience, I believe substantive character-driven films are an effective way to do that. Consider the case of Documented. 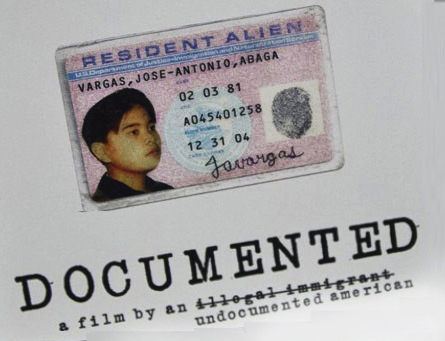 This documentary tells the story of Pulitzer Prize-winning journalist Jose Antonio Vargas—perhaps the most famous undocumented immigrant in the country. Vargas’ mother sent him from the Philippines to the U.S. in 1993 at age 12, and they haven’t seen each other since. Documented is an example of how a resonant and well-timed documentary can connect with people beyond the choir and move them to see and understand an issue for the first time, or in an entirely new way. I can’t help but imagine that Documented encouraged many of the Silicon Valley entrepreneurs in the audience to consider comprehensive immigration reform in a context beyond their immediate economic interests. These are influential voices that have not yet been involved in the immigration debates of the last decade, and they have the potential to move policy along a new path. Film serves as the “common text” when people gather to address social issues (or even for a shared cultural experience). A powerful personal story moves a discussion from the hypotheticals of policy to actual events affecting real people. Documented contains scenes that display the painful divide that immigration policies cause between Vargas and his mother; we hear her at home in the Philippines longing for her son, and we watch him grow from 12-year-old boy to star reporter feeling under constant threat of being exposed. People tend to dig their heels in the ground when debating political points; but a story like Vargas’ prompts viewers to get at the personal issues behind the rhetoric. Film can be put in tandem with other media to drive change. These days, documentary films, at least for advocacy purposes, are almost always paired with interactive websites, or are cut up into smaller “modules” tailored to appeal to different audiences, such as student activists, state and federal policymakers, and community leaders. That’s certainly the case with “Documented,” which is being combined with Vargas’ own online “Define American” campaign to “transcend politics and shift the conversation” about immigration and citizenship. Only a certain number of people will see the full film at a theatre or a “town hall”-type forum; many more will see and discuss shorter segments online. With a strategy in place, those virtual discussions can help communities wrestling with immigration issues. That’s a lesson that communications professionals in any issue area can draw from. Written by Ellen Schneider, Director of the Active Voice Lab for Story and Strategy. This post was originally published on September 19, 2013 on The Communications Network.